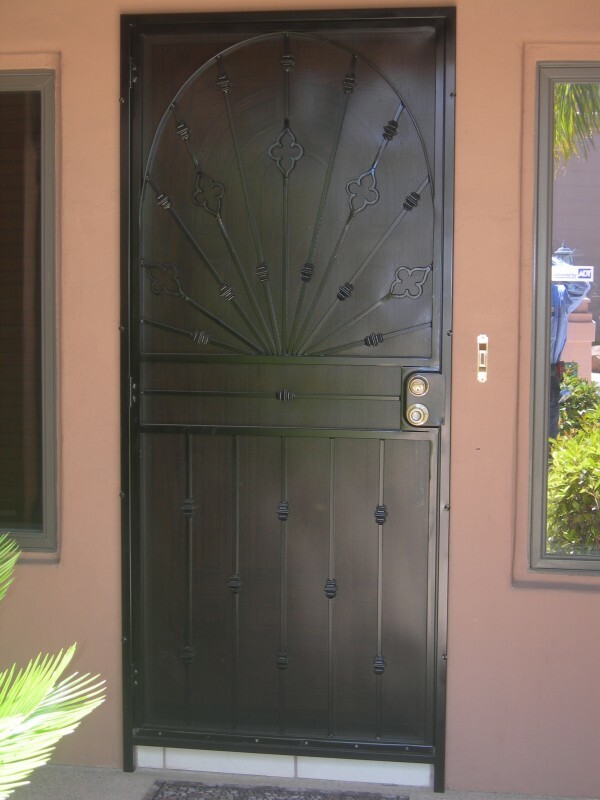 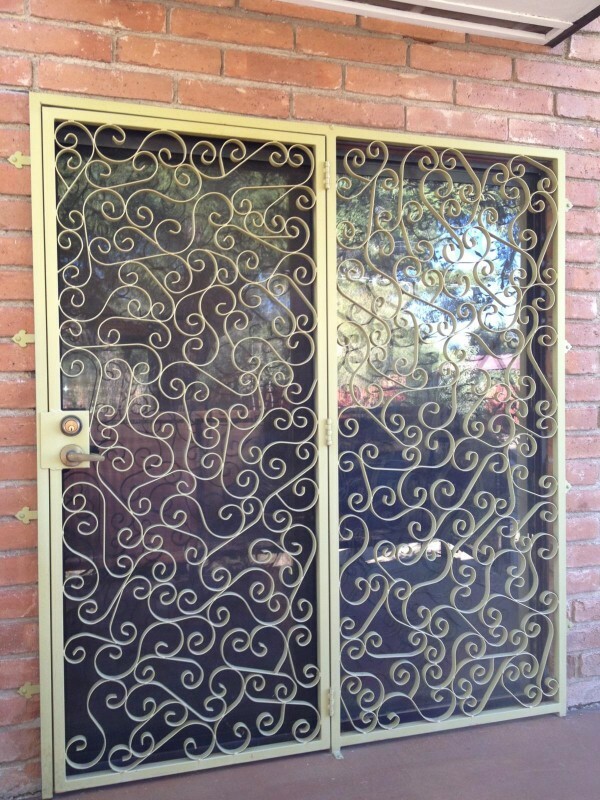 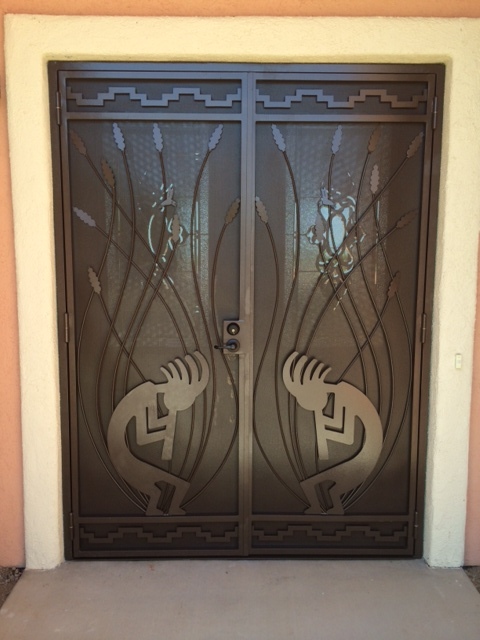 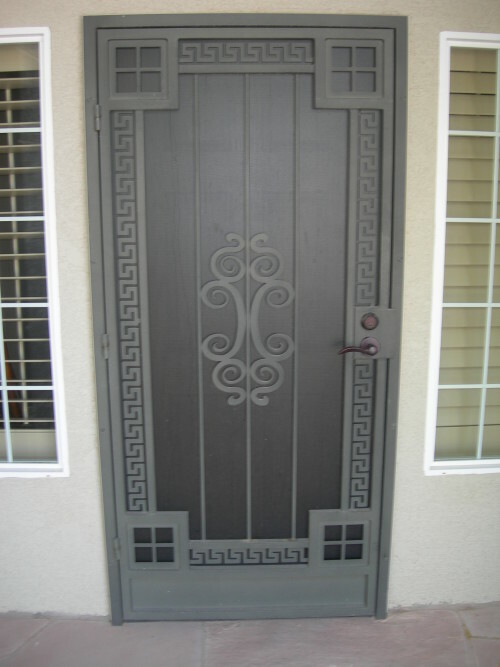 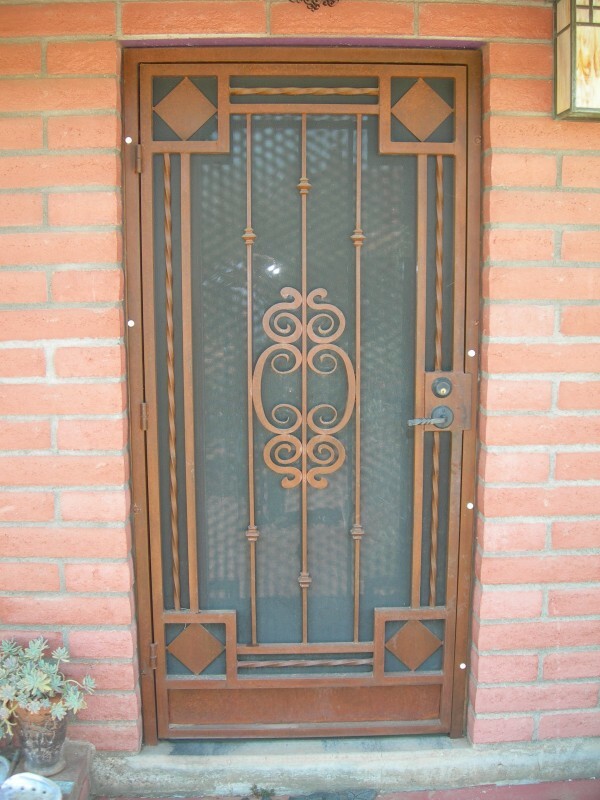 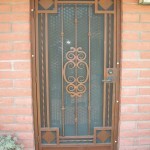 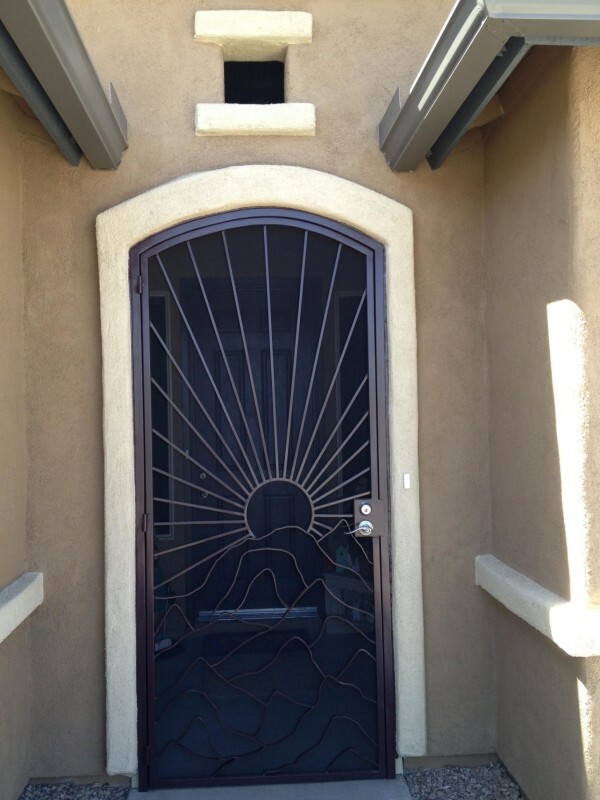 Iron security doors are a great way to both embellish and secure your home’s doorways. 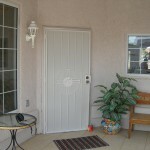 The Larger Company designs security doors specifically for each home, making sure to create a secure and precise fit. 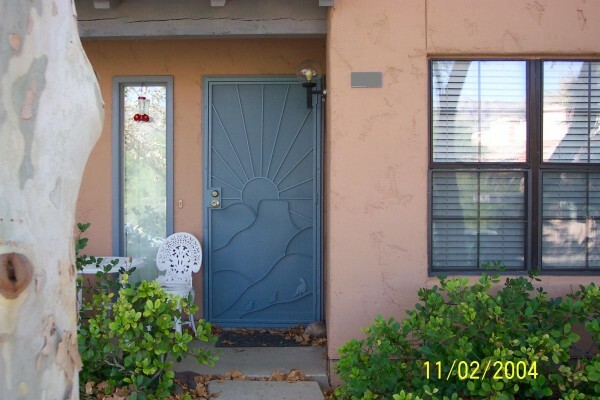 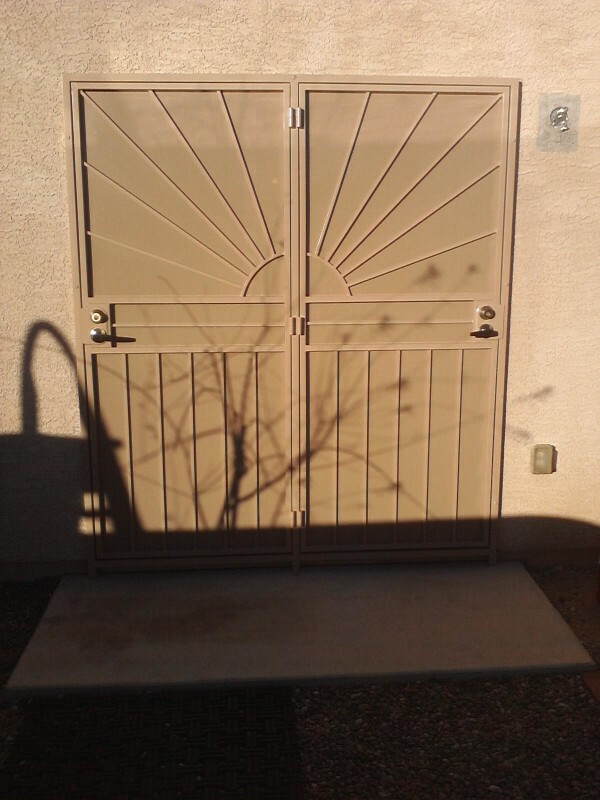 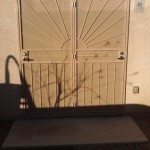 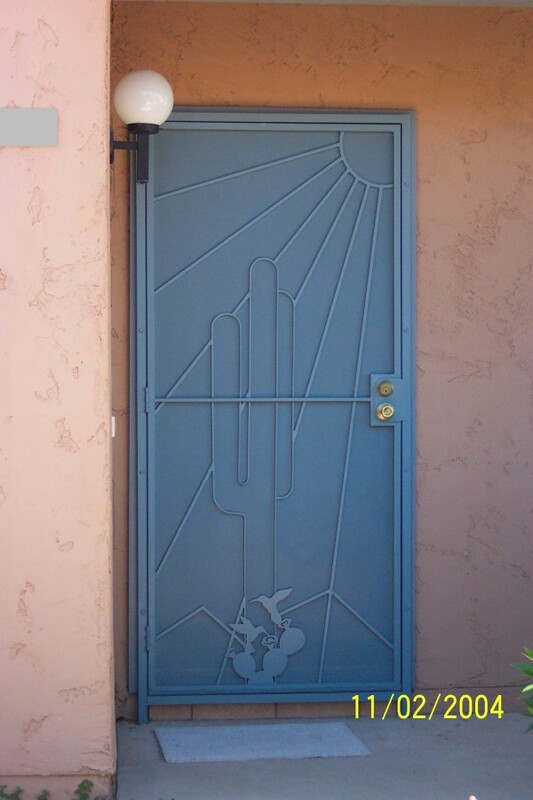 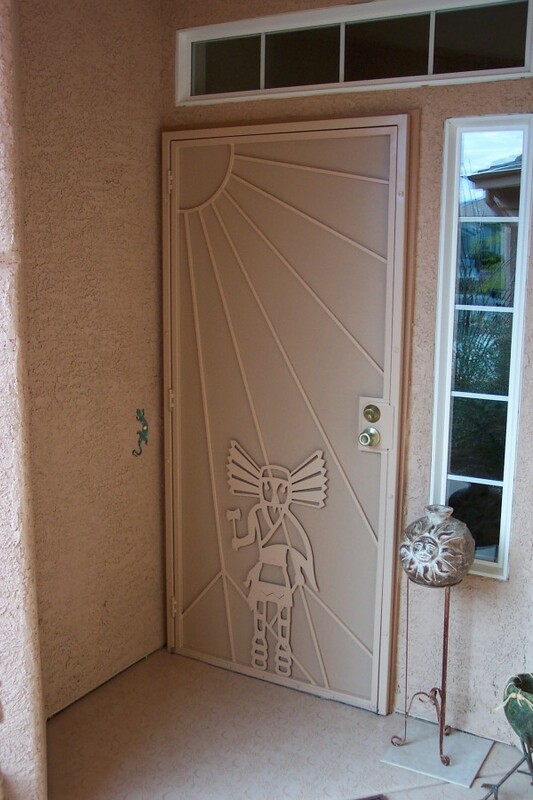 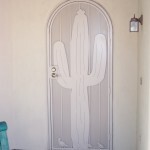 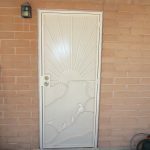 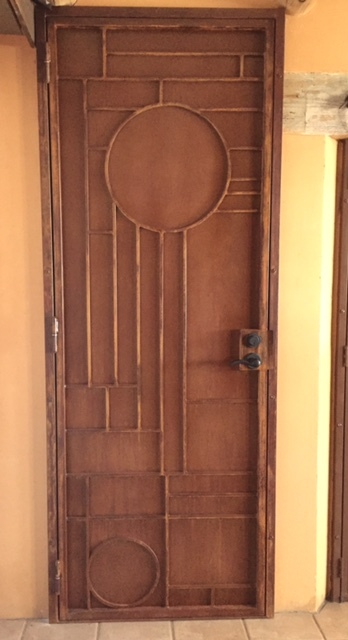 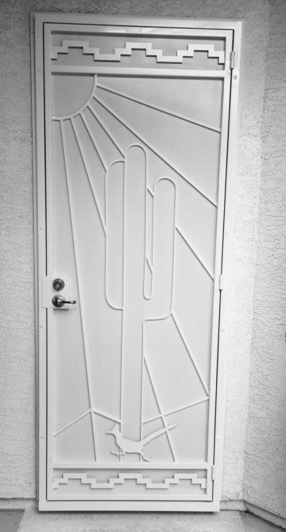 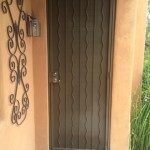 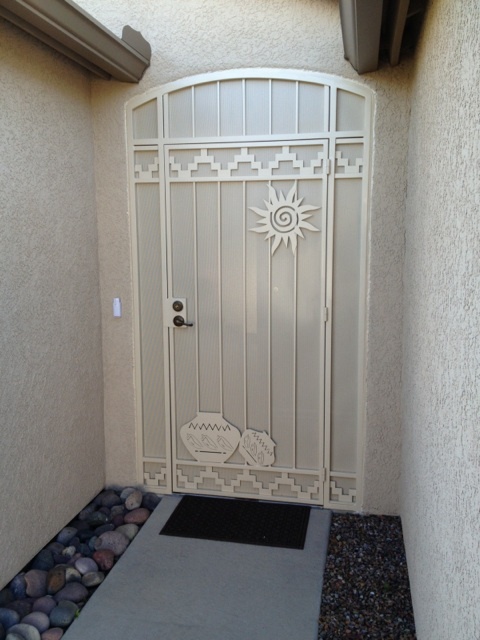 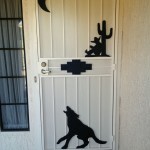 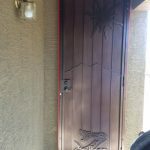 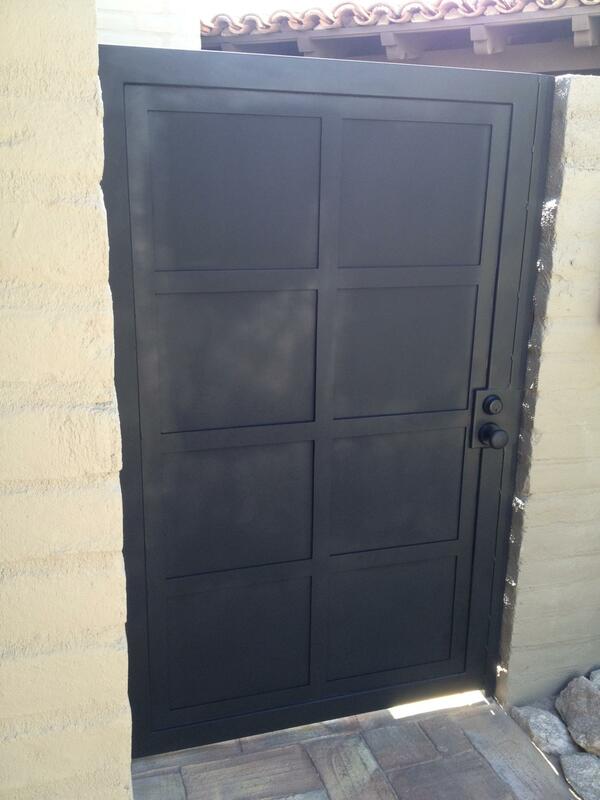 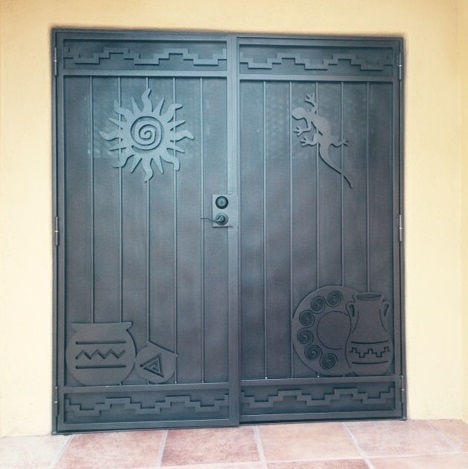 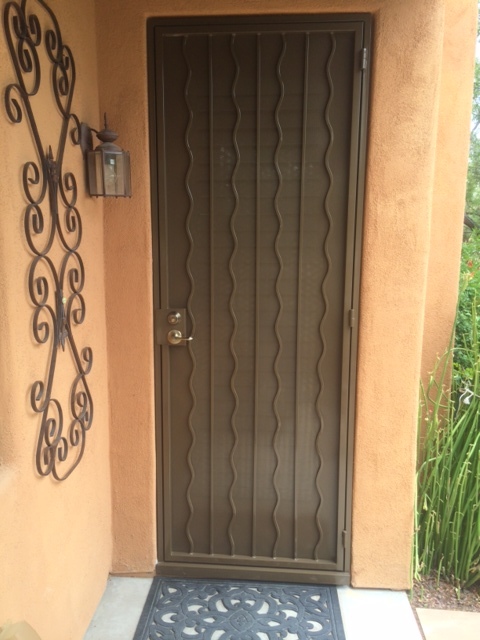 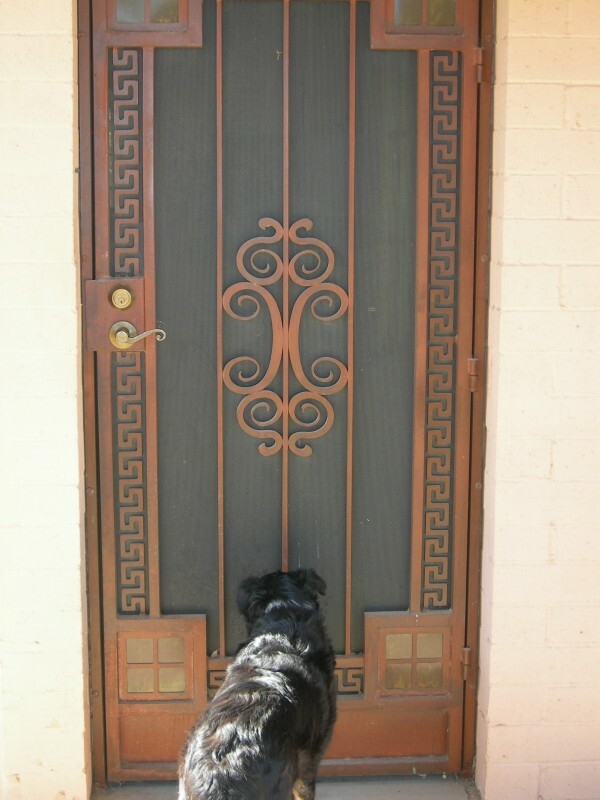 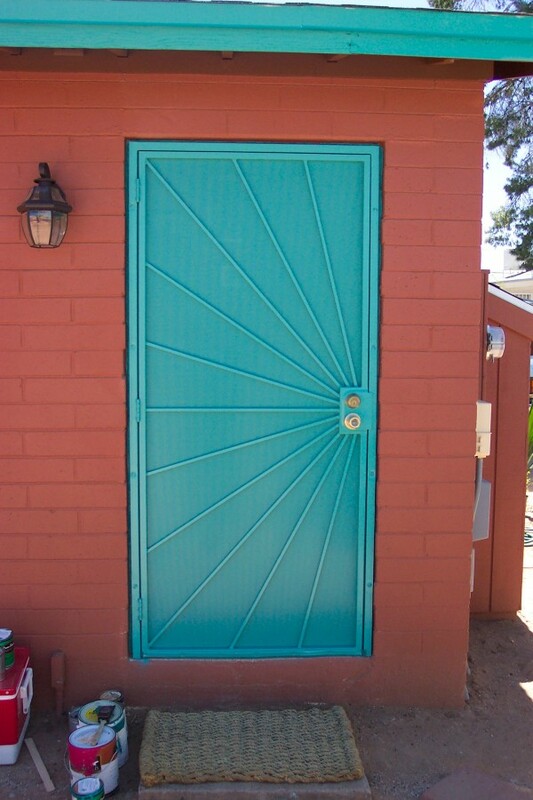 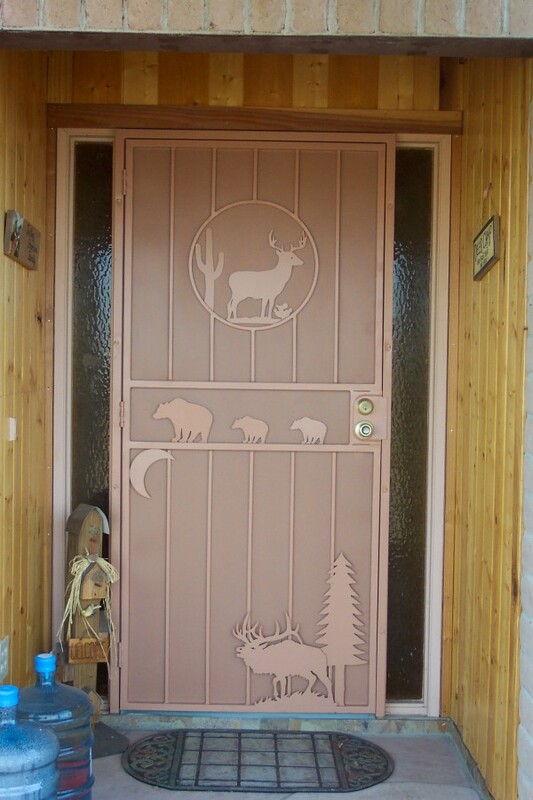 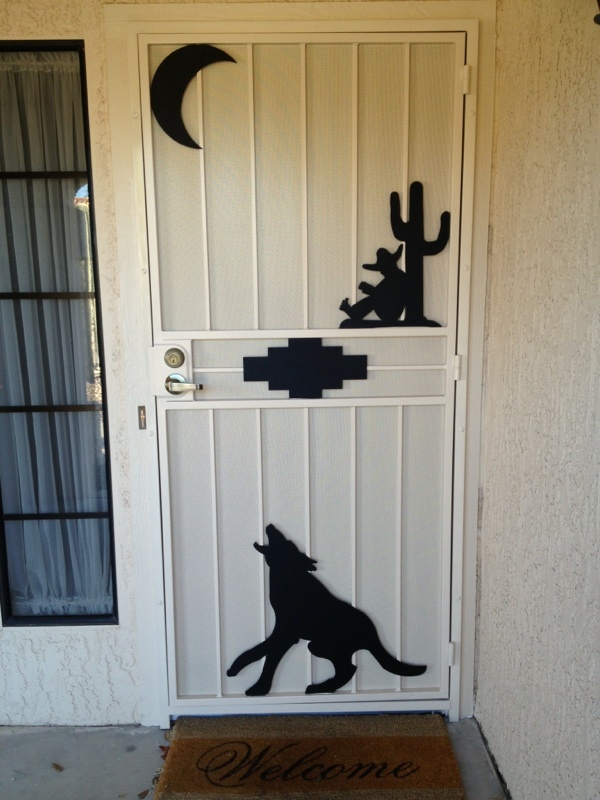 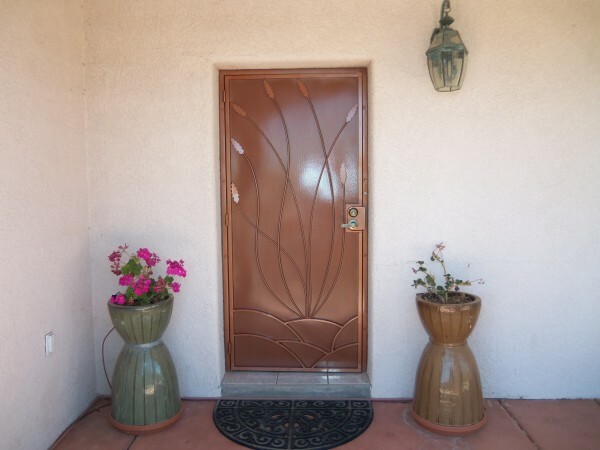 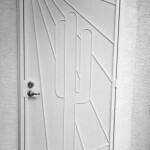 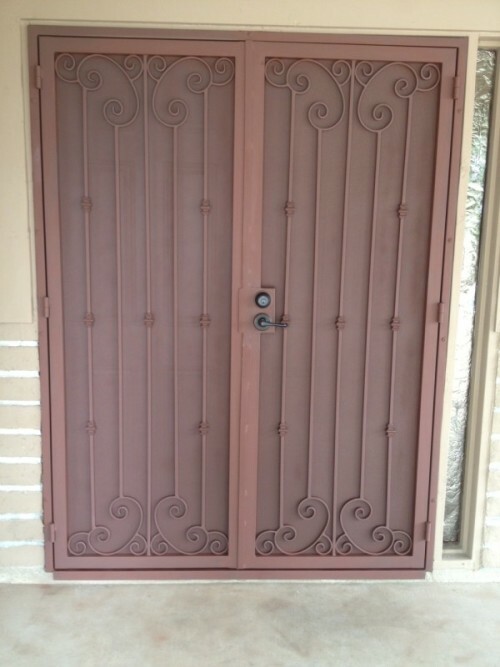 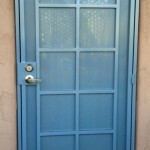 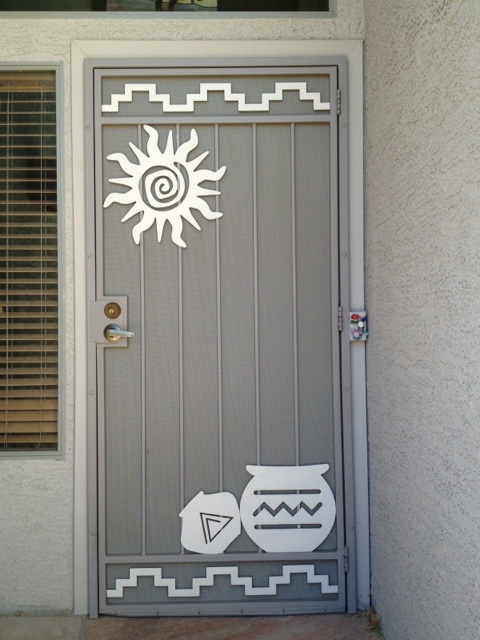 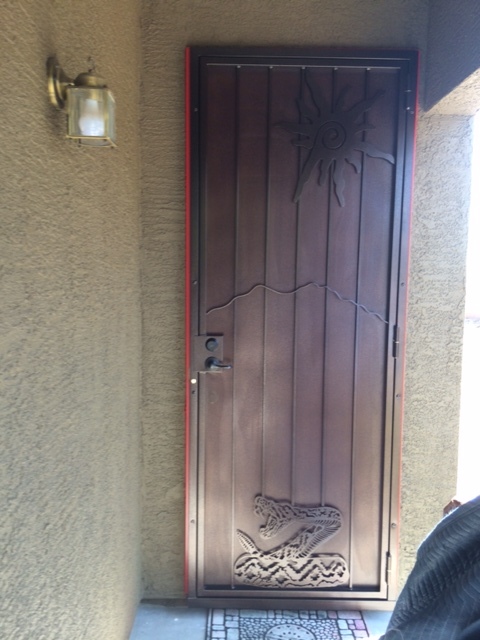 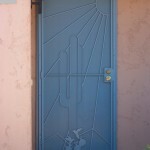 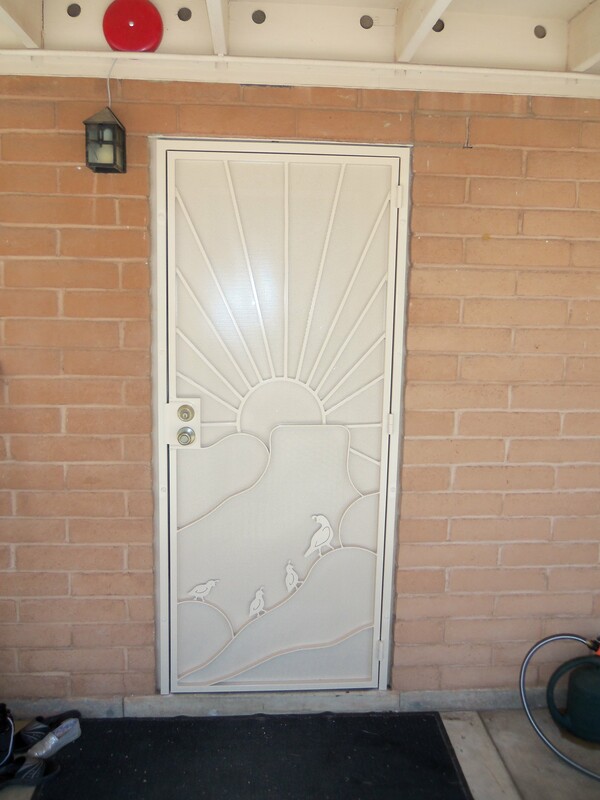 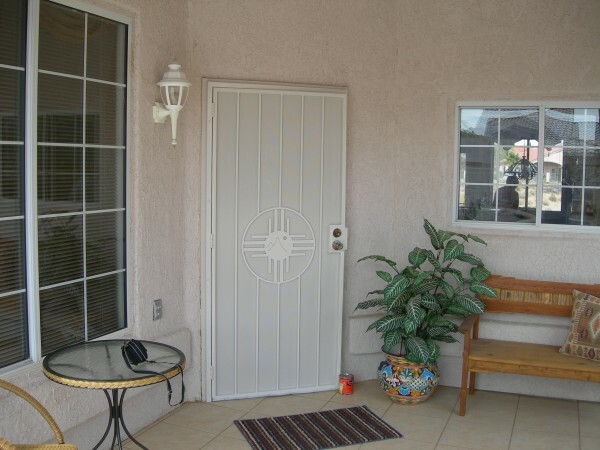 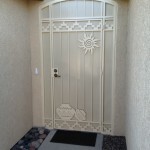 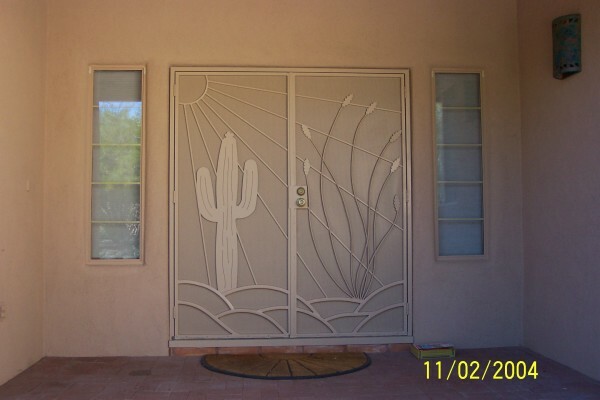 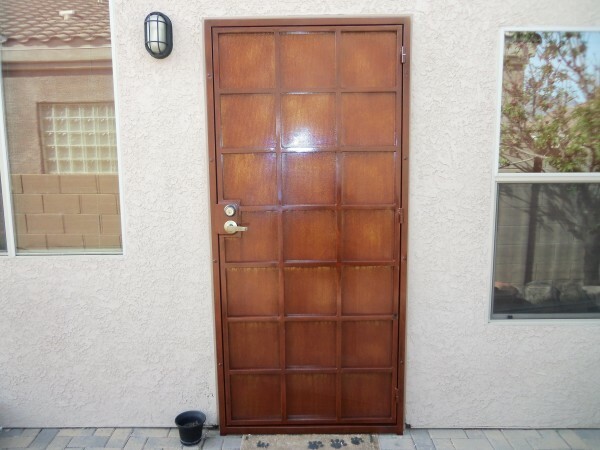 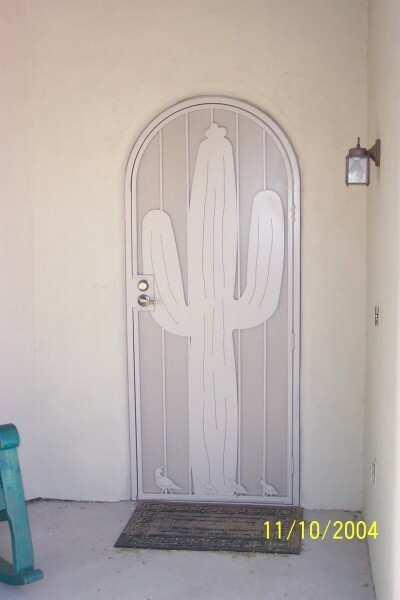 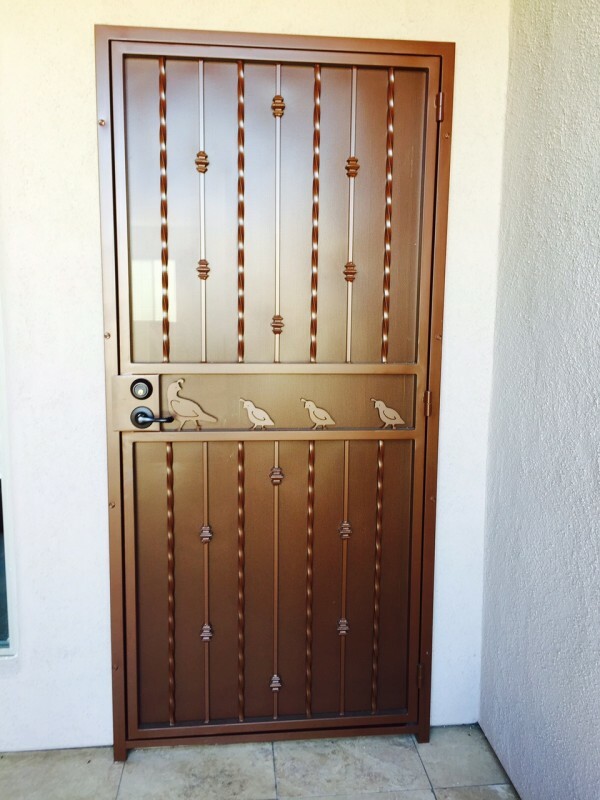 Prefabricated security doors that you find at many other places may leave large gaps around the doorway, which can allow for some of those desert critters to make their way into your home. 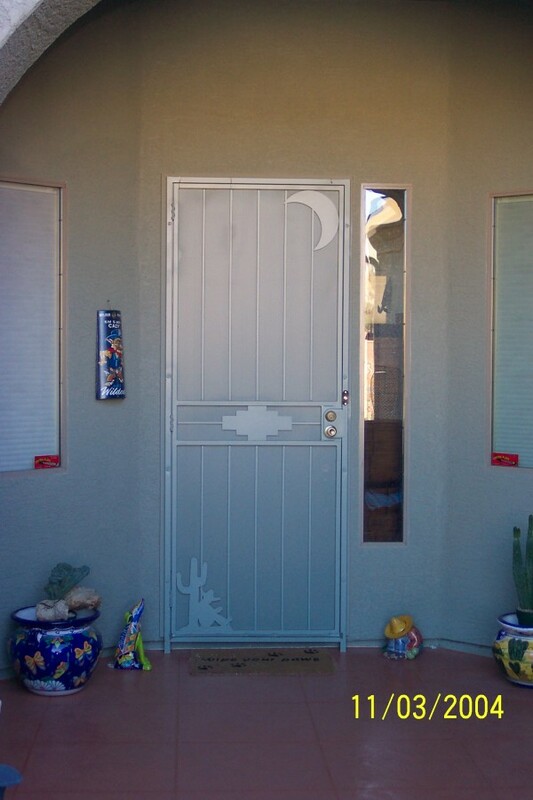 Every door is fitted with a full insect seal that allows the security door to double as a screen door and block out pests. 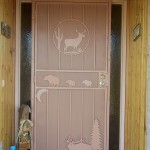 The seal also acts as a silencer for the door, keeping it from slamming shut and making excess noise. 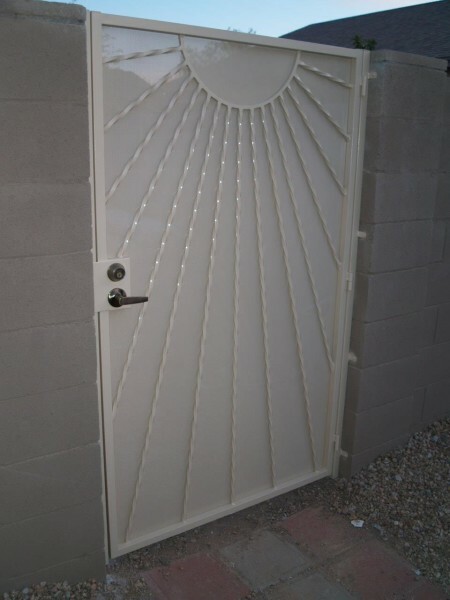 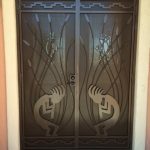 The Larger Company team also has an eye for design and strives to make security doors that are not only useful but also a statement piece for the home. 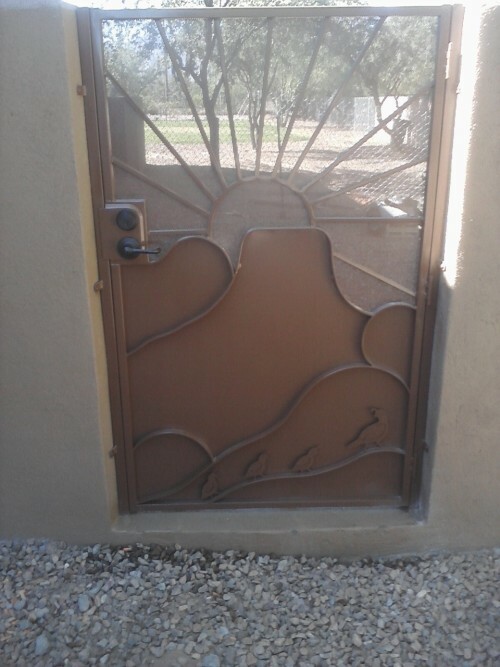 We can incorporate design aspects from your home or a custom design that you had in mind to create a one of a kind piece. 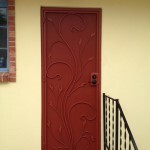 Don’t have a design in mind? 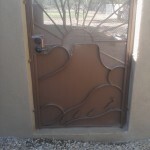 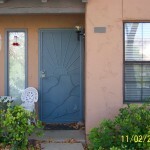 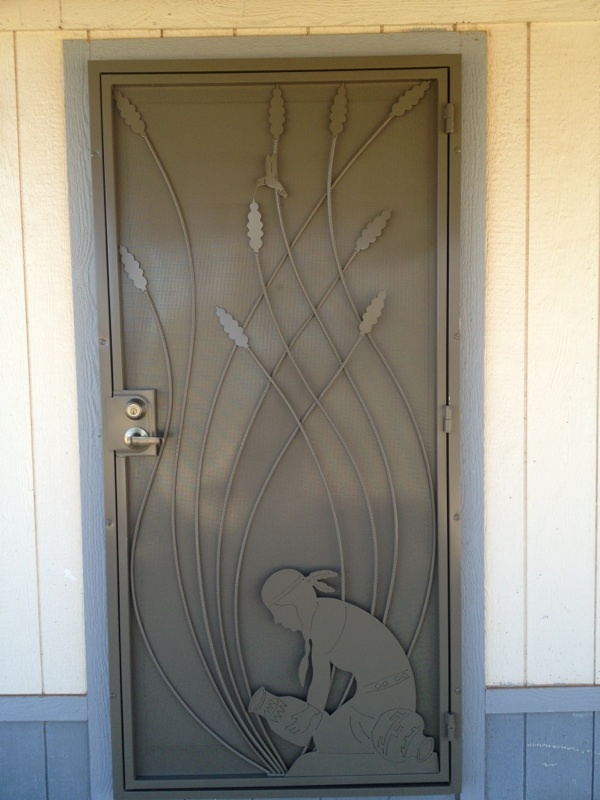 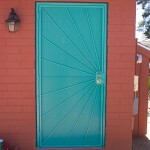 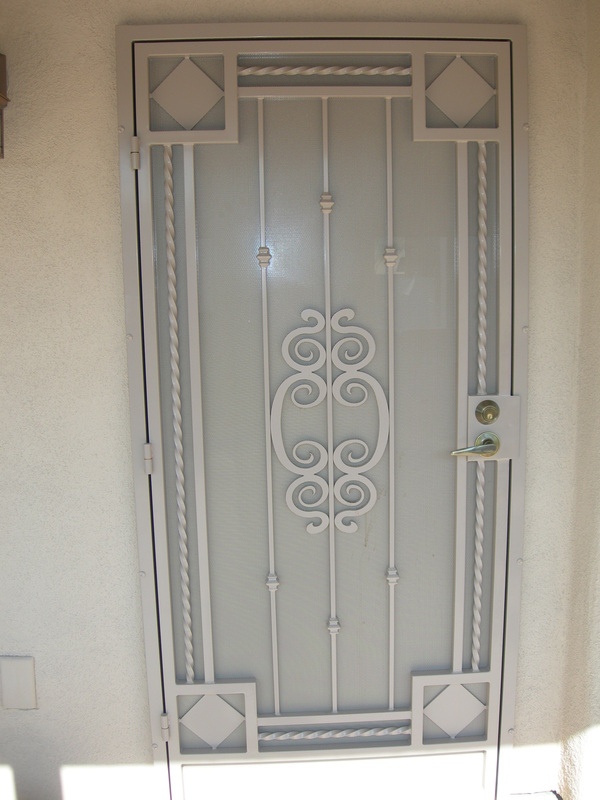 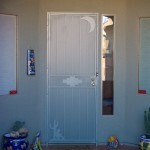 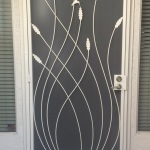 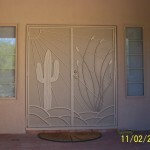 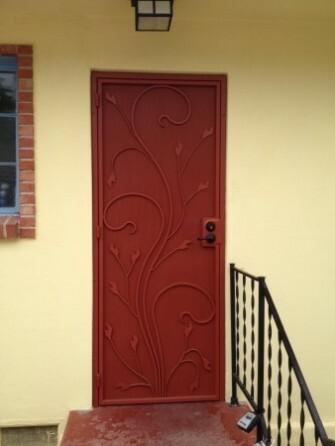 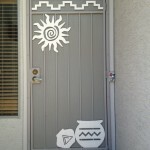 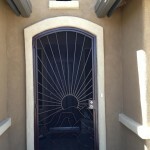 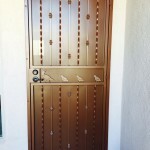 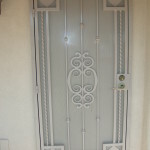 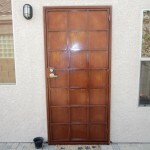 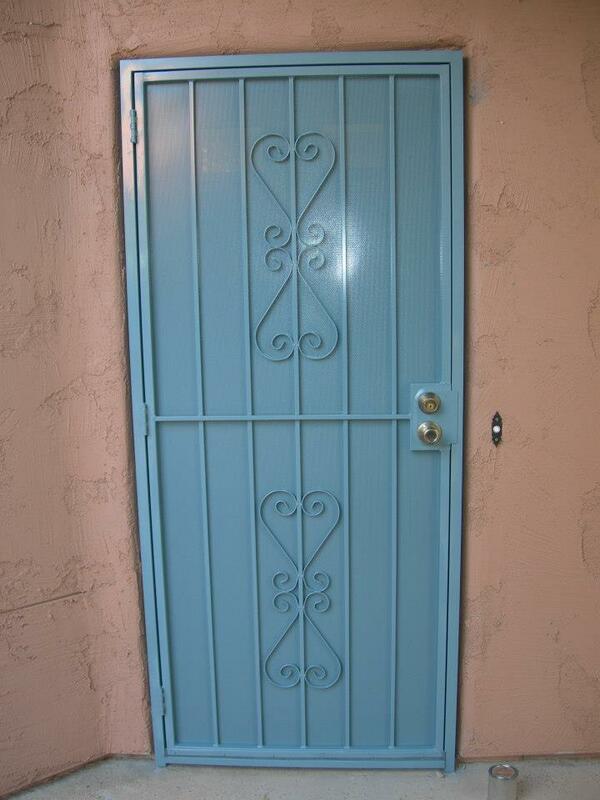 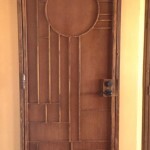 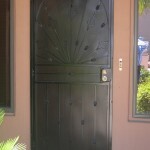 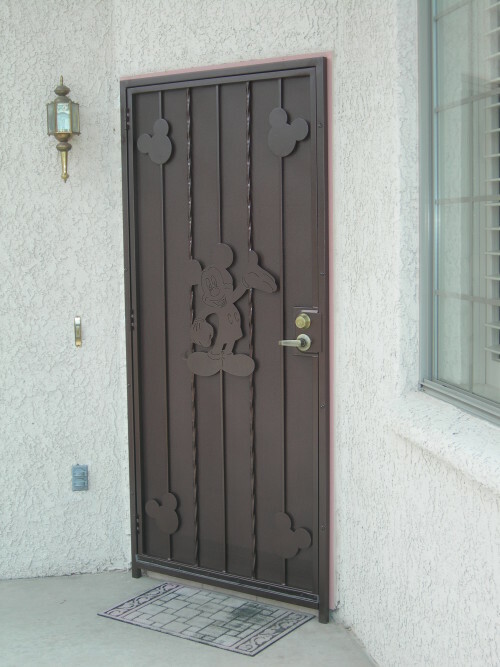 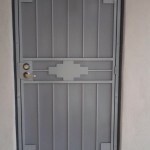 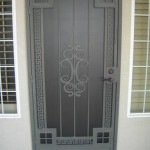 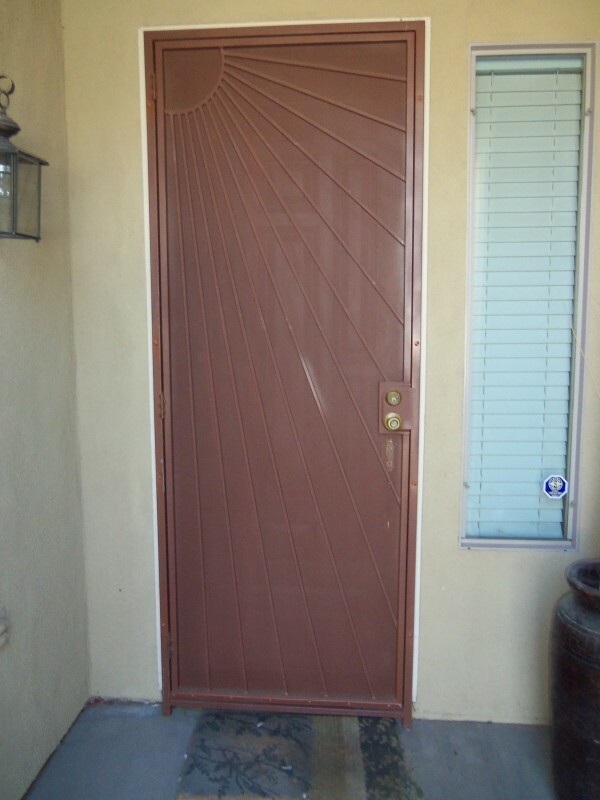 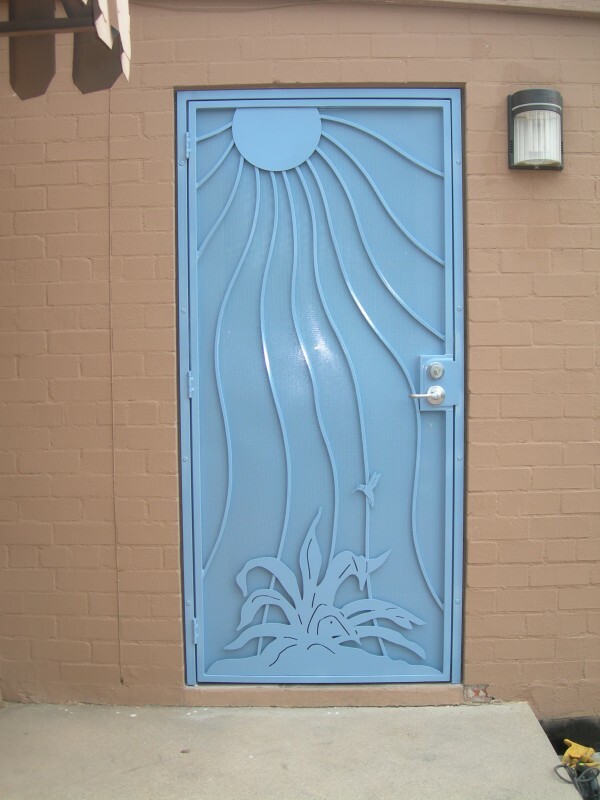 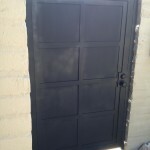 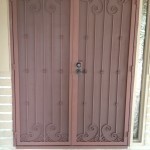 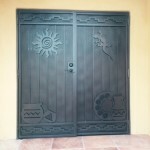 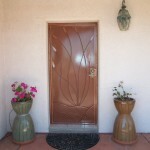 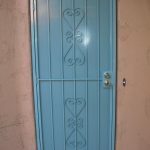 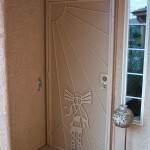 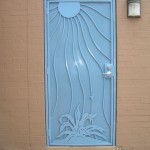 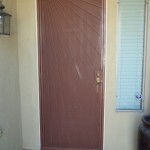 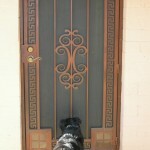 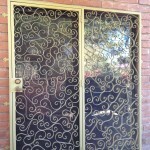 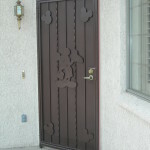 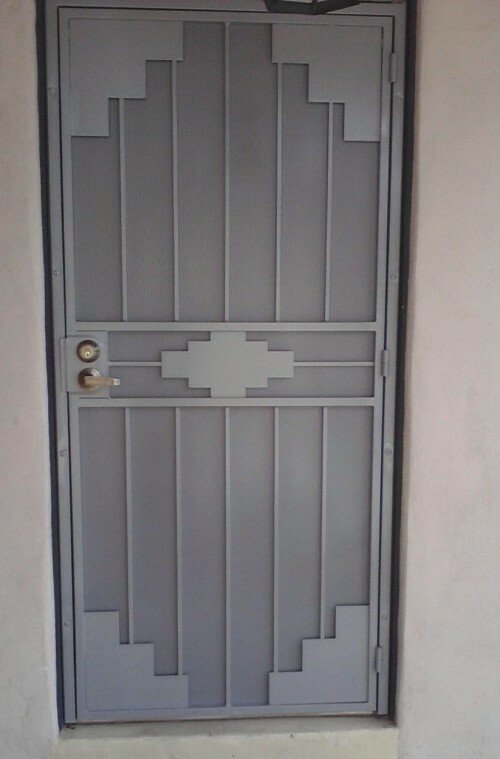 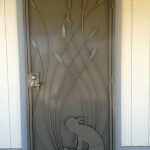 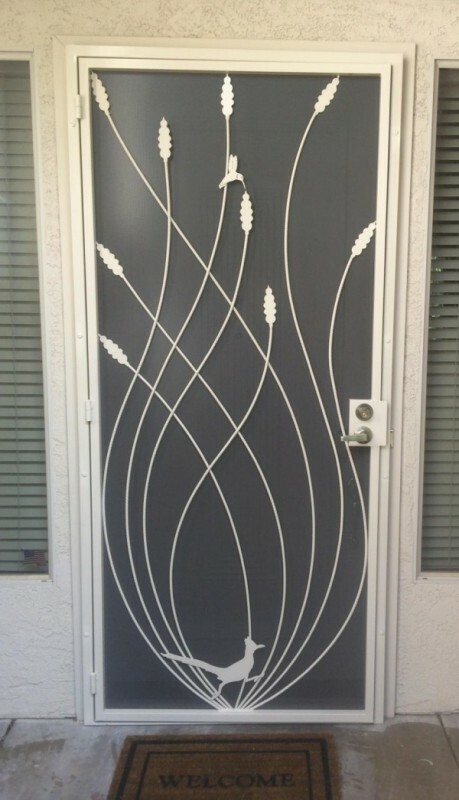 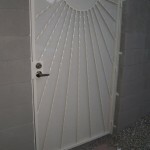 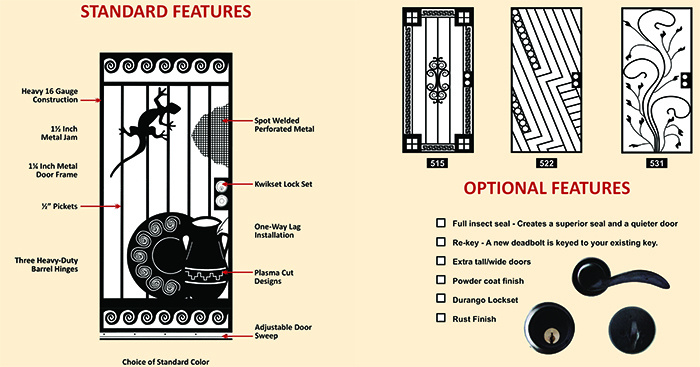 No problem, we have plenty of security door designs to choose from.